On board Sarfaq Ittuk the crew will do their utmost to give you a good experience during your journey, and not least that make sure you arrive at your destination happy and rested. There are 2 types of accommodations on Sarfaq Ittuk: Cabins & Couchettes. If you want the best comfort on your journey, you should choose the cabin. 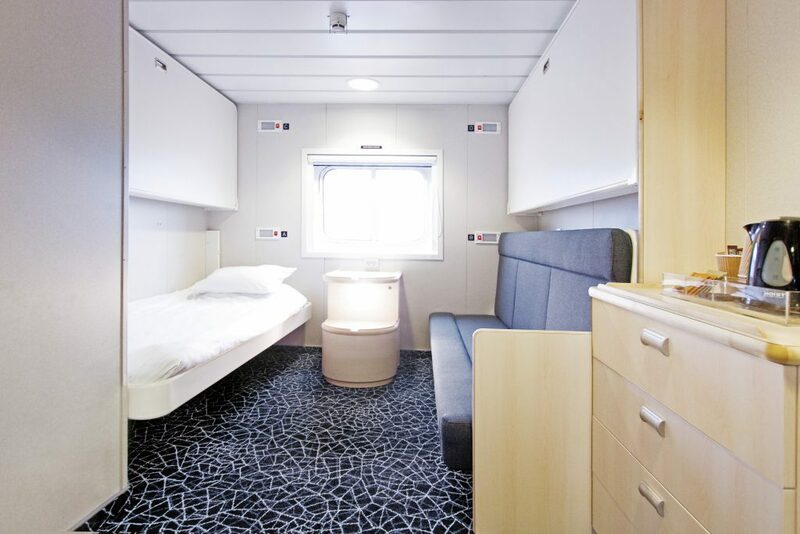 All cabins outside cabins are equipped with bathroom and toilet. Cabins can be purchased as one-, two-, three- or four-person cabins. There is a kettle for coffee and tea, chest of drawers, monitor and with the possibility to watch a selection of movies from our entertainment system. There are towels in the cabins as well. Cabins are located on deck 3 and 4. The cabins are at your disposal until arrival. Please note that the cleaning staff starts the cleaning 1 hour before arrival. 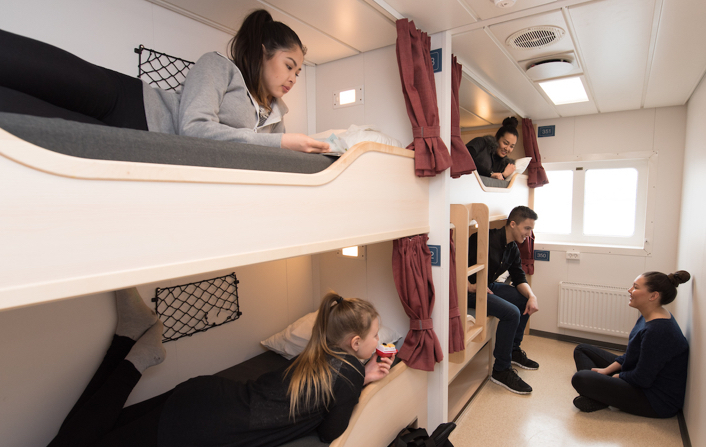 The couchettes are grouped in sections of bunk beds up to 8 persons. There is a shared bathroom and toilet in the hallway. Passengers usually bring their own sleeping bag, but it is possible to buy a blanket when purchasing the ticket online. Locations are available on deck 1, 2 and 3. The designated place may be without window.